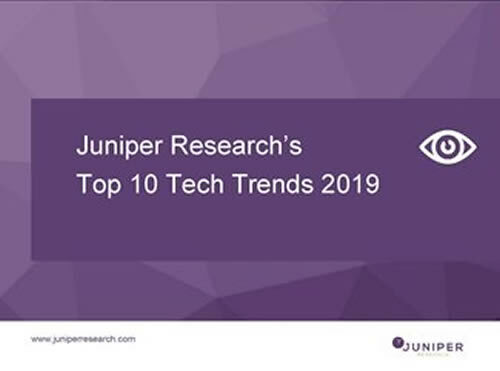 Join us on 29th November at 14:00 GMT to hear our top 10 technology predictions for 2019. The webinar will reveal which trends will be prevalent and explains how these will impact the market and the key players within it. This will be a fast-paced webinar, delivering the key points via analyst presentation, infographics, and a Q&A session at the end. A copy of the webinar presentation will be offered to all participants.